Kitchen remodeling projects involve a lot of decisions, from choosing cabinets finishes to picking out new appliances. While it’s easy to get wrapped up in these big decisions, don’t neglect choosing the backsplash. Because these surfaces take up a lot of visual space, they can tie together your design scheme or disrupt the balance of the entire room. The tips below will help you choose the right backsplash for your kitchen. When you walk into the room, the backsplash might be the first thing you see, so take advantage of the design opportunities. For instance, you might want to install a subtle mosaic above the sink or color-coordinated tiles by the range. Considering the focal point will help you create a strong visual impact and make the entire room pop. Installing a beautiful backsplash doesn’t have to be expensive. If you’re on a budget, choose larger tiles to cover more space and smaller decorative coverings to create your design. Not only is this approach friendlier to your budget, but it can also be great for creating more elegant designs for a sophisticated kitchen remodeling project. 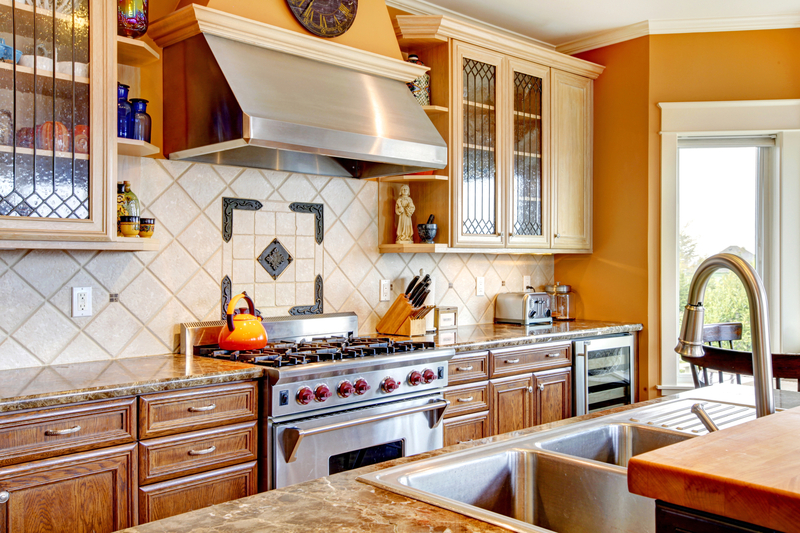 Manufacturers offer a variety of materials, each of which might be perfect for your kitchen. If you’re going for a rustic country look, consider brick or natural stone to emphasize the other elements. On the other hand, if your tastes tend toward the industrial, stainless steel can add drama and tie your appliances together. If you’re planning a kitchen remodeling contract, A Plus Contractors has the expertise and minute attention to detail to make your vision a reality. Using only the highest-quality materials, they’ve built a reputation throughout the Denver Metro Area for amazing results and dependable craftsmanship. Visit their website for more on their kitchen remodeling services, follow their Facebook for more tips and advice, or call (720) 495-7963 to discuss your project and request a quote.